A variety of styles and configurations of desks that can be custom ordered to meet the needs of your office. Reception furniture sets that are not only attractive, they are comfortable and durable. Affordable conference tables, available in numerous shapes and sizes. Make a great first impression in your business with an attractive reception desk. Gain flexibility in your space for meetings and presentations with training tables. Modern workstations which can lend a mix of privacy and collaboration in an open office environment. Create comfortable environments for a cafe or lounge. Modern cubicles to help you maximize the amount of workspace in your business. Affordable executive desks that can be customized to the needs of your office. Get more done, in less time, comfortably with a new sit to stand desk. Maximize your office space with a two person desk. High end laminate desks which can be configured in an L Shape, U Shape or bought as a straight standalone desk. Matching storage cabinets and chairs available as needed. Sit Stand Desks allow you to work longer hours without having to leave your desk. Both manual crank and electronic versions are available. Reception desks can be custom ordered to meet the needs of your space. Acrylic or fabric panels can be used as accents below the transaction counter. Cubicles to meet the needs of any budget including the customizable SpaceMax cubicle, remanufactured cubicles and hybrid cubicles. Conference tables come in lengths from 4FT to over 20FT. Many different shapes including boat, racetrack, square and rectangular are available. Choose the color finish of your choice. Sofa sets are available with matching love seats, club chairs, coffee tables and side tables. These have high quality manufacturing and look perfect in waiting rooms or reception areas. Office chairs come in a number of different styles including with mesh backs, executive style seating, chairs for conference tables and more. 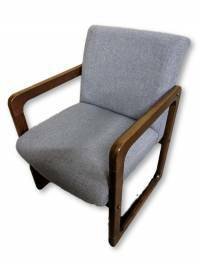 Guest and waiting room chairs can be ordered with your choice of over 250 different upholsteries. Many different styles are available. Training tables, coffee tables, side tables and meeting tables can be custom ordered in a number of different sizes, shapes and finishes. 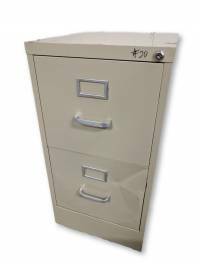 We have a large selection of lateral and vertical filing cabinets. 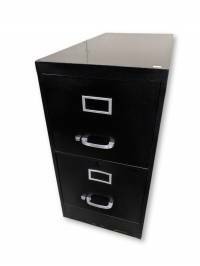 Available in 2, 3, 4, and 5 drawer options, construction includes metal and laminate. We provide floorplance, CAD designs and estimates free of charge for businesses of all sizes. Whether you need a large floor plan done or spaces for just a few employees, let us know your needs and our team can provide you with pricing and designs in 1-2 business days. 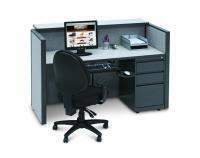 View our vendors office furniture catalogs and websites. We offer discounts off the list price of all items, so if there is a certain manufacturer you want to work with, please let us know and we can help you with pricing your office space. 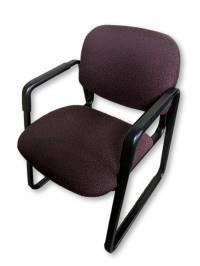 Some of the most popular new office furniture items we have to offer. Every item we sell can be custom ordered to meet your needs, and numerous finish options, colors, dimensions and shapes are available. If you have any questions about ordering new office furniture, just give us a call at (608) 831-1012. The follow items are a sneak peak of some of the items that can be picked up direct from our furniture warehouse. Our selection of used equipment and used office furniture in Madison Wisconsin is constantly changing so to get the best deals we welcome customers to visit us or ask when business liquidations are occuring. These items are first come first served and allow people who are expanding their business or starting a new business to do so on a budget where sound items are discounted steeply from new prices. At Madison Liquidators we take the business of sustainable office furniture seriously. Where other companies may send vast amounts of gently used or like new office furntiure to the land-fill, we strive to find new homes for that office furniture. In this effort we provide local businesses and homeowners reasonable options of purchasing business grade office furniture at a fraction of our competitors! We are office furniture liquidators who strive to offer affordable office furniture for businesses and home offices. Our selection of new and used second hand office furniture provides customers with a wide range of desks, storage and filing cabinets that come in numerous construction types including metal, laminate, wood and veneer. We conduct office furniture, office equipment and business asset liquidations on a daily basis. These items are generally removed from businesses that are moving, upgrading or downsizing and our service works to keep otherwise perfectly sound items out of the landfill. This provides a great service to the community and allows business owners the opportunity to furnish office and work spaces at a fraction of the cost that they might pay retail. 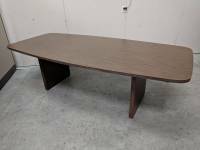 We have a great selection of gently used and discount office furniture. Our deals on this used but nice office furniture, is always first come first served and these items are generally in great or like new condition. We delivery used furniture locally and throughout areas in Wisconsin, Illinois, Iowa and Minnesota so should you see something online, just give us a call and we can deliver the items directly to you. Ordering can be done in person, online or over the phone. We accept business checks, cash and all major credit cards including Visa, Mastercard, Discover, and American Express. If you need help planning your office we welcome you to call us to have floor plans put together for you at no cost. Usually these consist of 2D floor plans and 3D renderings so you can visualize the final product. We offer full service furnishing solutions which can include liquidation of old furniture, delivery and assembly to local customers in Madison, Milwaukee, Chicago and other surrounding areas as well as free shipping which is available with limitations to customers around the United States. To learn more and to find out whether your order applies for free shipping, please contact one of our sales associates. In most cases businesses located in the midwest which have a loading dock and purchase $2,500 or more in new office furniture qualify for free shipping. Free shipping is available on most orders of $2,500 or more in new office furniture. Some exclusions apply which are mostly based on certain regions of the country and specifics of your order. This program includes various combinations of desks, chairs, guest chairs, conference tables and more. In some cases lift-gate fees may apply. Please talk with your sales associate to find out if your order is eligable for free shipping. Click to show major cities and states we ship to. Most of the office furniture we sell features quick-ship options that all you to receive the furniture in as little as 7-10 days. If you need the furniture shipped faster, please contact us and let the sales person know that you need your order expedited. In some cases it may be possible to have your furniture shipped the next business day and to you in a shorted period of time. Whether you have purchased your office furniture from us or another vendor, please feel free to contact us for an estimate to have your furniture assembled and installed into your office space. This service is available for business or home offices. We can assemble and install office chairs, guest chairs, desks, cubicles, conference tables, height adjustable desks and more. We proudly offer moving services to customers in the Madison Wisconsin area. This can include moving from an apartment into a home or your business from one location to another. If you are looking for a moving company that can complete your job on time and on budget, just give us a call and let us know how we can help you. In some cases businesses may wish to rent office furniture rather than to purchase it. This can be in your best interest when you are looking to setup temporary office space where purchasing brand new furniture isn’t justified as the expense to buy it up front, set it up and ultimately remove it is not justified. Our office furniture rental service allows you to rent office furniture on a term that meets your needs and can include setup and removal of the furniture as needed. Our records storage facility offers a climate controlled location with the highest level of security possible which includes video surveillance and additional security throughout our building(s) to insure your documents remain safe and secure. From start to finish, we can box up, relocate and store your files without you having to lift a finger. This can help to free up space in your office and provide you with temporary flex space for your paperwork. We offer installation and assembly services to cities listed in bold which mainly include Wisconsin, Illinois, Iowa and Minnesota. For all other regions we offer freight shipping direct to your door and can provide a referral for furniture installers. Our main location features 8,000 square feet of space which showcases both new and used office furniture in 3 separate showrooms. This facility is supported by an additional 5,000 square feet of overflow warehouse capacity where over-stock used office furniture is stored. Open Monday thru Thursday 10AM - 4PM, Friday & Saturday 10AM - 4PM. Our second location is currently showcasing inventory from a hobby shop liquidation. This is a one-time sale where everything must go! Model cars, trains, planes, board games, puzzles and much more are available. All items are 10% off or 20% off if you purchase 5 items or more! Open Tuesday thru Friday 10AM - 6PM and Saturday 10AM - 4PM. Our goal is to help you make the most of your space and provide ideas to make your office comfortable and productive. We are dedicated to providing fast, efficient and affordable office furniture solutions as well as liquidation of unwanted inventory, furniture and equipment. Our services make transitioning furniture easy as we manage every step in a responsible and sustainable fashion.